This is the place where you’re guaranteed to be treated to a diverse mix of people, surroundings and daily events. The totally revamped nightclub hosts an array of 20 to 40-ish artists, business owners, attorneys, writers, architects, entrepreneurs, local business managers, doctors and, well….a real mix. One forte at the club is their litany of cocktails; they actually serve a sazerac-the almost obscure absinthe drink that is New Orleans official drink. Most impressive would be the 30+ vodkas offered mixing with the 50+martinis alongside a foray of stuffed olives. If a martini really isn’t your style, check out the new erasable menu on Wednesday and mix your poison on a marker board. 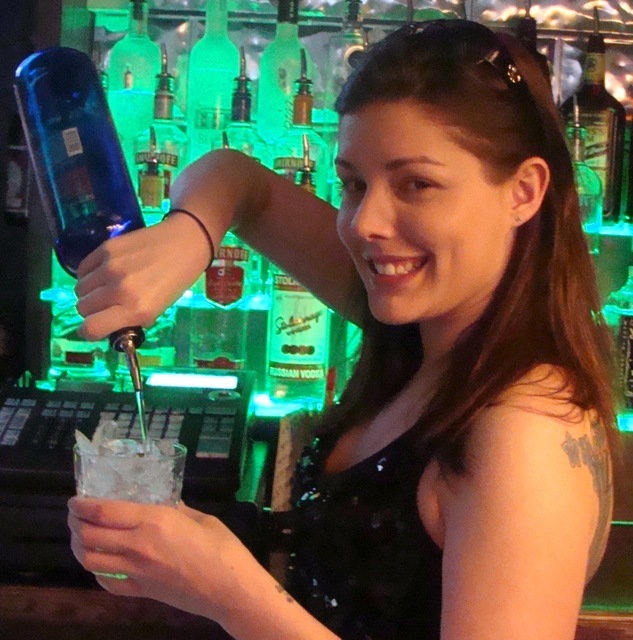 When you have all the fresh juices and liquors down to an art, turn it in for a custom drink. Voila! On the weekends, order up Bottle Service for the couch areas: roped off with your very own private waitress and your own personal secluded party, you can indeed get very V.I.P. in your own reserved area. On Wednesday evenings, hor’dourves and cocktails mingle with the locals at City Bar’s art exhibit featuring local artists promoting their work. On the evening I was there, Brian, a local artist, sold 2 paintings to patrons amid the partygoers and festivities. The attitude concerning local artists at City Bar is simply put: they don’t charge the artist to display or ask for commissions when their art sells. They just offer their space for the venue and the added dimension. 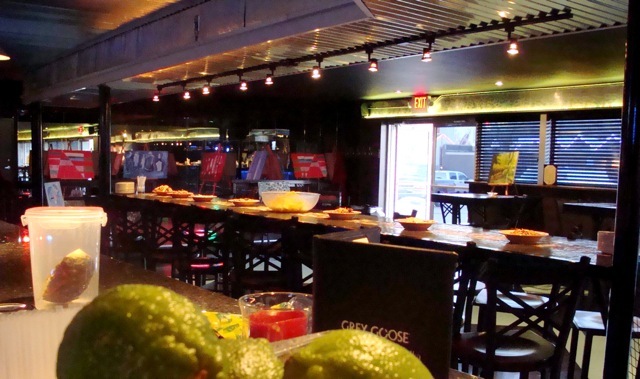 Weekdays include happy hour & shot specials, karaoke, art showings, live music, D.J. Solo and dance nights, ladies night and whatever else is dreamed up in the meantime. I fell in New Orleans at Mardi Gras. I slipped sober! Call Lindsey ahead to schedule your free showing. This very summery concoction tastes exactly like the Blue Icee’s from any Circle K! UV is a brand of vodka that specializes in its unique flavors and colors. The raspberry is a crisp blue that has an amazing flavor just pured on the rocks or enjoyed with a splash of Red Bull. The Blue Curacao and Peach Schnapps just add that extra sweetness to give it that slushy flavor we all love. Try it! I promise you will never want to the one from Circle K again!